Founder of Bijou Lakey in Haiti, Daphnée Karen Floréal created her first piece of Jewellery while still at University. 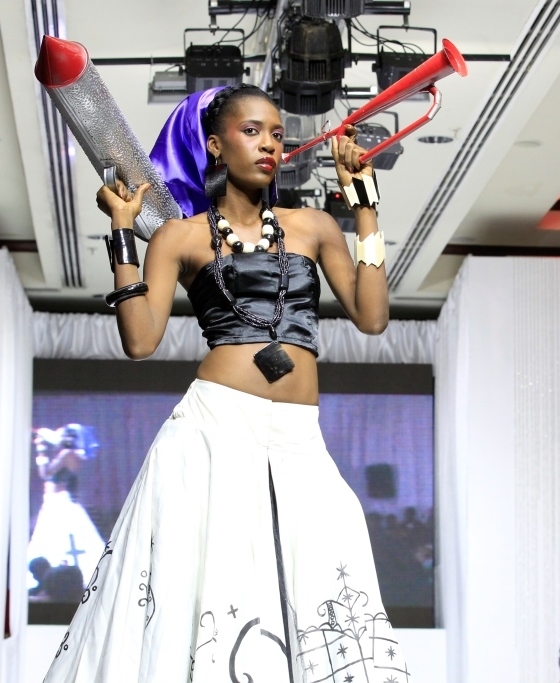 Inspired by geometric forms and famous personalities, her concepts have completely changed the Haitian style of dress. “We are an innovative line of hand-made jewellery and accessories. Our pieces, on the frontier of crafts and fashion, reflect our vision of beauty and elegance, and testify the rich cultural heritage of Haiti” declared Daphnée. Always thinking of her customers, Daphnée focuses on style, comfort and quality in her designs. Each piece is made from salvaged bullhorns sourced directly from different farms across the country. She employs several Haitian artisans; these conscientious craftsmen come from various parts of the country, migrating to the Haitian capital to seek a better way of life. Bijou Lakay offers a variety of earrings, bracelets, necklace, rings and belts for women. The company has a wide range of bracelets in diverse shapes. They produce sets of earring and necklaces to complement outfits from the casual event to the more glamourous occasion. Their selection of earrings will suit those with the simplest to the most extravagant of tastes.